Johan Clement was born in Antwerp on August 20, 1955 as the third son of a Belgian mother and a Dutch father. At the age of 10 he moved with his parents to the Netherlands. Since 1982 Johan mainly is active as a professional pianist in Belgium in the New Look Trio Roger Vanhaverbeke (1982-2011). Over the years, he accompanied many top musicians such as Toots Thielemans, Deborah Brown, Art Farmer, Scott Hamilton, Georgie Fame, Mark Murphy, Sal Nistico, Jerome Richardson, Johnny Griffin, Dave Pike, Clark Terry, Benny Bailey, Ed Thigpen, Lou Tabackin, Madeline Bell, Harry Allen, Peter King, Rita Reys, Jean François Prince, Judy Niemack, Philippe Catherine, Ali Ryerson & Slide Hampton. Johan cooperate on various radio and TV programs in Belgium and the Netherlands. Known groups with which he has worked or has made tours with include The Golden Gate Quartet, The Platters and the BRT Orchestra. In Belgium Johan was for over 30 years the pianist of the “New Look Trio” directed by Roger Vanhaverbeke (bass) with Freddie Rottier (drums). Luc Vanden Bosch started as from 1995 playing percussion and in 2012 bassist Bart de Nolf , best known as the accompanist of Jean “Toots” Thielemans, became a member of the trio. As of 2012, the New Look Trio continued under the name of the Trio Johan Clement. 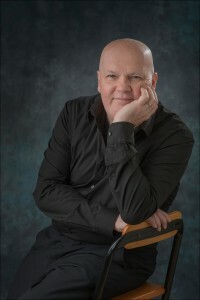 As a piano teacher Johan is connected to the Rotterdam CODARTS (1989 to date). Before that, he also taught at the Conservatory of Antwerp (1988), Leeuwarden (1989) and Groningen (1990-1993). Johan has worked with almost all the Belgian and Dutch jazz musicians. Much fame he has received with the famous jazz program TROS Sesjun with saxophonist Scott Hamilton and appearances at various jazz festivals including North Sea Jazz Festival, Bahrain Jazz Festival, Jazz Festival, Cannes, Brussels Jazz Festival, Jazz Festival Gouvy, Middelheim Jazz Festival and Jazz Ascona. He has toured the Benelux, Germany, England, France, Switzerland, Central East, Africa, India and Japan. Johan released 23 albums and “Some Other Time” is his latest.